If you love the fragrance of scent, you will, of course, love Tuberose flowers. The flower spikes of tuberoses will adore the entire spectrum and make the day more beautiful. They make an excellent gift for any occasion. Add a personal message to convey your feelings with the bouquet. The soft, rich, sultry and seductive; tuberose flowers can make anyone fall for them. The first thing you would notice about this elegant flower is the heady floral scent that envelopes the room where it is put. 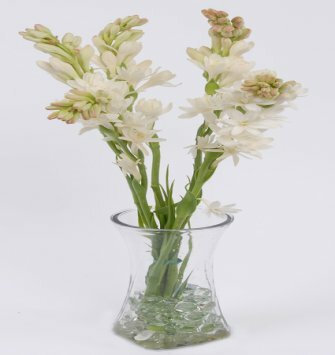 For occasions like a wedding party, birthday or anniversary, the tuberose is definitely going to provide a double dose of stunning visual effect with amazing fragrance spread across the room. Go for this flower and see happiness emanate from within.